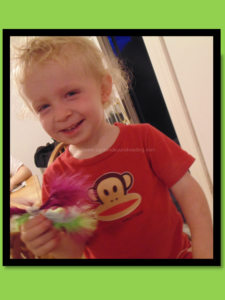 If your children are anything like mine – they are CRAZY about fairies. They love to look for fairies, they love to write to their fairies, the love to build fairy homes and capture fairies. 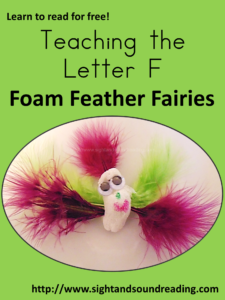 Given their fascination with fairies, I knew my children would love this activity. 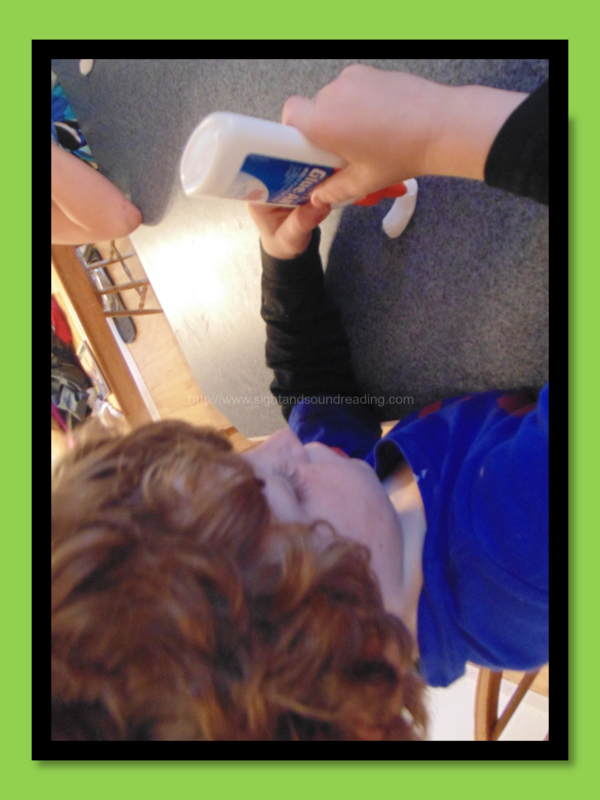 I did not test this activity before doing it with the kids -so, I was a little concerned how it would go -if it would be too difficult or frustrating. 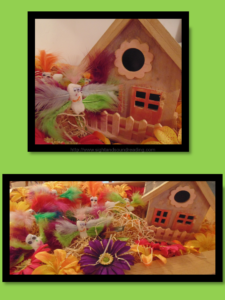 To my surprise, everything went flawlessly and these cute little fairies were super simple to make! We received a package the other day with little white foam pieces that filled the box. Hooray! 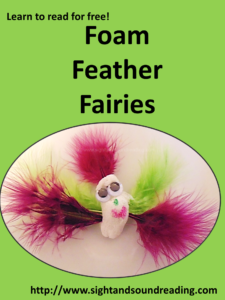 I always flich when such filling arrives in the house, but this time I had a fun idea….why don’t we make foam feather fairies? So, we got out the googly eyes, and the feathers and we got to work. First we glued on the googly eyes. Then we stuck the feathers in the side. 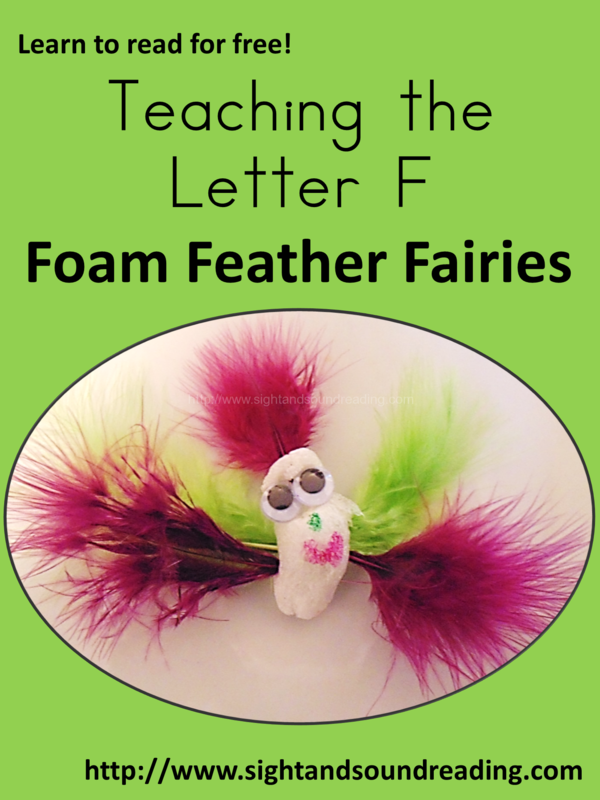 These little fairies were great for fine motor practice too. My 2 year old son had a hard time sticking the feathers into his fairy, but he was able to pick up and glue on the google eyes. 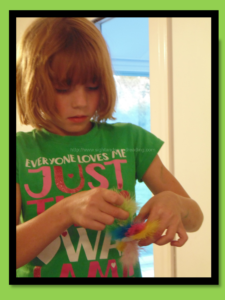 Even my eight year old enjoyed the challenge of getting the feathers just as she wanted. Last we drew on a face. Smile! Look at my fairy! Finally we fluttered the fairies to a fancy, flowery, fairyland. Did you know that when fairies flutter they make the fffff sound? You can often hear them in the summer fluttering around with the lightening bugs. FFFFFF!